Sweat and Repeat Turns One! 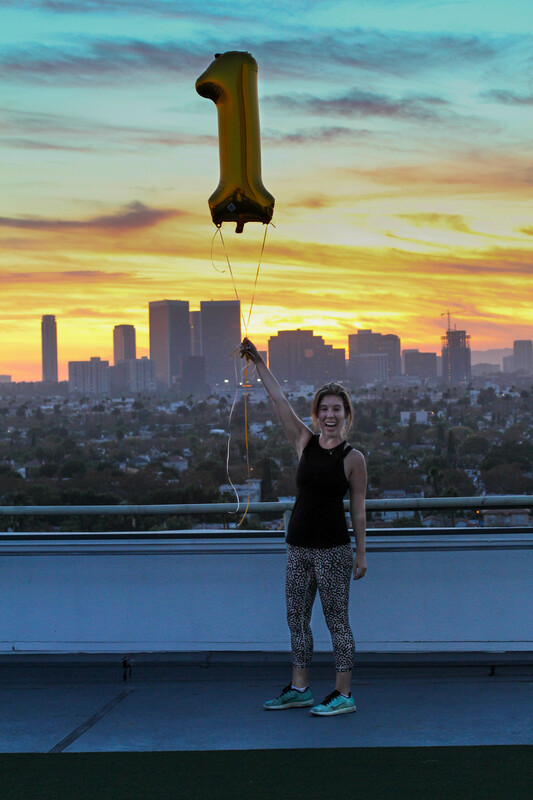 Last Thursday I brought together a killer group of women (and one very brave man) for a celebration in honor of Sweat and Repeat’s first birthday! The event took place at Speedplay LA, a penthouse boutique studio in Beverly Hills that features a high intensity interval training workout. I can’t decide which is better, the workout or the view! It was an absolute ideal location for a party. Sometimes I’m in need of a class that’s going to challenge me and make me sweat profusely. While barre and Pilates classes aren’t hard to come by in this city, finding a killer bootcamp can be challenging. With the first location in DTLA having opened in May and the Beverly Hills studio on July 8th, Los Angeles has just been blessed with a brand new killer class.